Cellular speeds faster than Wi-Fi in 33 countries. The common assumption that a Wi-Fi hotspot is faster than cellular data is not always true as a new study from OpenSignal has revealed that mobile speeds actually come out on top in 33 countries. The difference in speed is also quite striking, as in locations such as Australia, Oman and the Czech Republic cellular users typically have a 10Mbps advantage over Wi-Fi. However, in places like Austria, Iran and South Africa, cellular networks have a multi-megabit advantage over Wi-Fi. There are also many countries where cellular and wireless speeds are about the same. 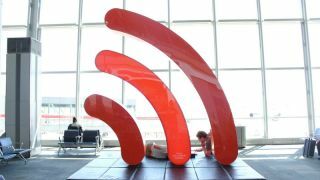 In countries with relatively fast home broadband such as Hong Kong, Singapore, South Korea and the US, Wi-Fi has a clear advantage over cellular networks. At the same time though, LTE offers a clear advantage in areas like Lebanon where download speeds tend to be 25Mbps faster than on Wi-Fi. The findings of OpenSignal's study suggest that device manufacturers and users need to rethink the assumption that Wi-Fi is always faster than cellular data. While that may have been the case when smartphones first arrived, it is no longer true in many areas of the world. With 5G set to roll out next year, cellular speeds are set to improve even further. Though just as it was with the introduction of 4G LTE, there will likely be issues that lead consumers to switch back to Wi-Fi instead of staying on cellular data.